Please read the terms below in its entirety. The placement of your order is viewed as your agreement to the FrenchUsedSaddles.com Trial and Return Policies, as detailed below. FrenchUsedSaddles.com offers customers a seven (7) day return policy/ trial period, which begins the day you receive your saddle. Shipping to you is FREE one-way, and for your convenience we will provide you with a return shipping label. Full payment (purchase) of the saddle is required for all trials. From the time the saddle is purchased from our site, you own the saddle, unless it is returned to us, postmarked by the 7th day (Return Ship Date). In the event that you are trying more than one saddle, the trial periods run concurrently. If for any reason, you are not satisfied with the saddle or you feel it does not properly fit you or your horse, you may return it on or before your Return Ship Date. For example, if you receive your saddle on a Monday, your Return Ship Date is the following Monday. 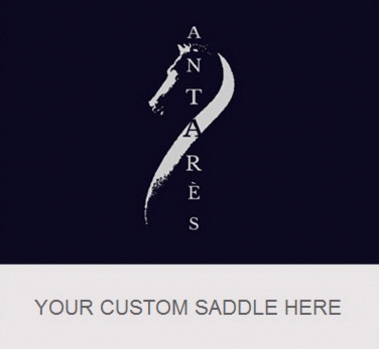 If your saddle is shipped back to FrenchUsedSaddles.com after the Return Ship Date, a store credit will be issued for the purchase of another used saddle, an Antarès standard saddle or an Antarès custom saddle. No refunds will be issued if your saddle is shipped after the Return Ship Date. Store credit can be redeemed once your trial saddle has been safely returned to FrenchUsedSaddles.com in acceptable condition. In the case of a return, a full refund less the $50.00 re-stocking fee and less the return shipping charges will be credited to your credit card account. Complimentary items shipped with your saddle such as a saddle cover must be shipped back with the saddle or the full retail price will be deducted from your refund. Please allow 1-2 business days for the credit to be processed; the credit may take a few additional days to appear on your statement. Free Fed-Ex Ground shipping one way, and we provide a courtesy return Fed-Ex ground shipping label for your convenience. 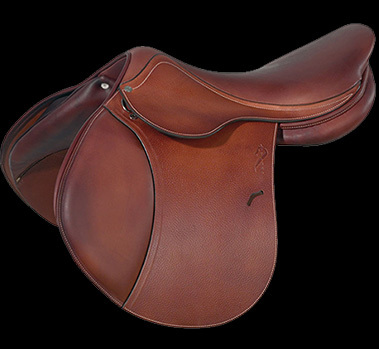 Saddles will ship within 1-2 business days from the time of the order, and require signature at delivery. Expedited shipping quotes can be provided upon request. All outgoing saddles are fully insured for shipping. We highly recommend keeping the box and packing materials until you have decided whether you will be keeping the saddle or returning it. Should you elect to not use the provided return shipping label, and use your own shipping provider, we highly recommend insuring the saddle for it's full value (for your protection). Keep in mind that the saddle belongs to you until such time it is delivered back to us in the same condition as when it was sent out. Additional return shipping charges apply for Alaska & Hawaii. We do not ship saddles outside the United States. If the saddle is returned, it should arrive back to us in the same condition in which you received it. Damage to the saddle (scratches, tears, excessive wear, stains, broken tree) will result in a fee to be determined by FrenchUsedSaddles.com and based on depreciation and/or repair costs. The condition of the saddle will be listed on your confirmation and you can review the condition definitions in the Condition Glossary.